Please take your time to fill out the following form. If you have any problems, please contact me at mail@carinebeaphotography.com or call me on +447446568328. Is there any additional information you feel I should know now? Terms of Business: Terms and conditions of business BOOKING FEE A booking fee of £400.00 or £600.00 for a wedding overseas is required to secure the date. Dates are reserved only when the booking fee is paid. This sum will apply to the contract fee. The remainder of the balance outstanding for the chosen package is due for payment 20 days before the wedding date shown above with the pre wedding questionary. TERMS It is mutually agreed that the following terms and conditions form an integral part of this contract/invoice and that no variation or modification of this contract shall be effective unless accepted by Carine Bea Photography (also called “the Photographer”) in writing. PAYMENTS The balance of the payment for the services contracted for must be paid for 20 days before the wedding date. Payment for additional photographs and albums is made when these are ordered. Any bank charges incurred due to returned cheques will be debited to the Client. CANCELLATION In the event of the Client cancelling a booking for wedding photography Carine Bea Photography reserves the right to charge a cancellation fee in accordance with the following scale: £400 or £600 (the booking fee knowing as “deposit”) if cancelled more than 12 months prior to the wedding date. Plus 70% of the deposit fee if cancelled between six and twelve months prior to the wedding date. Plus 100% of the deposit fee if cancelled less than 6 months prior to the wedding date. 80% of the wedding photography fee ( £1,500 or £1,800) if it cancelled 30 days before the wedding. Should the cancelled wedding turn out to be a postponement, then subject to availability on a new date, monies other than the booking fee may be applied to the new wedding. In the event of the photographer having to cancel photographing the wedding, due to illness, accident or act of God, any fees paid, including the deposit, will be returned to the Client. In this instance, the photographer will also do her utmost to provide an alternative photographer from her list of professional contacts. WEATHER AND/OR DELAYS Weather permitting, the photographs will be taken as agreed. In the event of inclement weather the photographer, in co-operation with the Client, will make the necessary changes to the schedule and will do her best to produce coverage of the wedding within the time allocated to her. Similarly, when delays occur due to circumstances beyond her control, the photographer will stay on beyond the agreed time but may charge a small additional fee for the extra time involved. REQUESTED PHOTOGRAPHS The photographer will honour requests for specific photographs subject to the following: weather and time permitting; availability and the co-operation of the person(s) concerned. COVERAGE the photographer cannot be held responsible for the lack of coverage caused by the bride, bridegroom or other members of the wedding party not being ready on time, nor by restrictions placed on the photographer by officials of the church, register office or licenced marriage venues. The photographer does not guarantee any specific picture nor to include any specific background, location, props, or arrangement, although every effort will be made to interpret the Client’s wishes. The photographer is limited by the guidelines of the ceremony official or reception site management. The Client agrees to accept the technical results of their imposition on the photographer. Negotiation with the officials for moderation of guidelines is the Client’s responsibility. The photographer will offer technical recommendations only. COLOUR MATCHING and SIZES Owing to photochromatic anomalies caused by a combination of certain dyes and materials, especially in man-made fibres, it is sometimes impossible to record on camera the exact colour of materials as perceived by the human eye. When processing images, the photographer will endeavour to achieve a pleasing overall colour balance based on natural flesh tones. It is understood that some colours may not remain consistent throughout a set of photographs owing to variations in lighting conditions. It is also understood that all photographic printing is undertaken within the technical limitations of the process and that colour may not be identical over the whole range within a subject. The colour balance of prints made at different times or in varying sizes may also be variable. Due to the limitations of computer monitors, it is understood that images may appear differently according to the specification of each monitor and that prints will not match images rendered on any particular computer monitor. COPYRIGHT The copyright in all photographs created by Carine Bea Photography shall remain her property in accordance with the Copyright, Design and Patents Act 1988. The Client(s) shall have no right to reproduce, nor to authorise the reproduction of, by any means whatsoever, any photographs created by the photographer without her permission. This includes photocopying, scanning into a computer, photographing with a film or electronic camera, including a video camera, and producing either a hard copy on paper, film, or similar medium, and also recording an electronic image on a computer hard disc, or any tape, disk or other recording media. Nor is it permitted to transmit or allow to be transmitted such images by cable, radio waves or the internet. 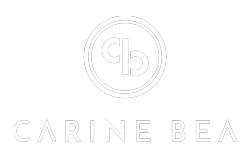 The Client(s) hereby acknowledges that infringement of Carine Bea's copyright is unlawful and may be a criminal offence. The photographer accepts no responsibility for the quality and colour reproduced from third-party printers of images taken from Copyright free images supplied, due to variations in paper and third party printing processes and profiles. NEGATIVES All negatives and electronic images created by the photographer shall remain the property of Carine Bea who will undertake to store all such negatives safely and make them available for future reproduction. Photographic prints will become and remain the property of the Client(s). However, the Client(s) specifically acknowledges that ownership of prints does not imply ownership of the copyright in the images on them, or any right to reproduce or authorise the reproduction of, such images. DELIVERY TIMES Online Photographs: Photographs will be uploaded to your online gallery within 5 weeks from the wedding day (this may be longer in peak periods). Albums: Albums, depending on the style and size, will be delivered within 12 weeks from the wedding day. ALBUMS Carine Bea will supply the album and number of pages that have been ordered subject to any variations that the Client may make. Any variations over and above that originally ordered by the Client will be charged at the rated current at the time of commission and will be included in the final account. TRAVEL: All travel in the UK and abroad are included in its respective packages. MODEL RELEASE The Client hereby grants to the photographer and its legal representatives and assigns, the irrevocable and unrestricted right to use and publish photographs of the Client or in which the Client may be included, for editorial, trade, advertising and any other purpose and in any manner and medium; to alter the same without restriction; and to copyright the same. The Client hereby releases Carine Bea and its legal representatives and assigns from all claims and liability relating to said photographs. The photographer will ask permission from the Client to publish a photograph, and the Client has the right to refuse to publish.